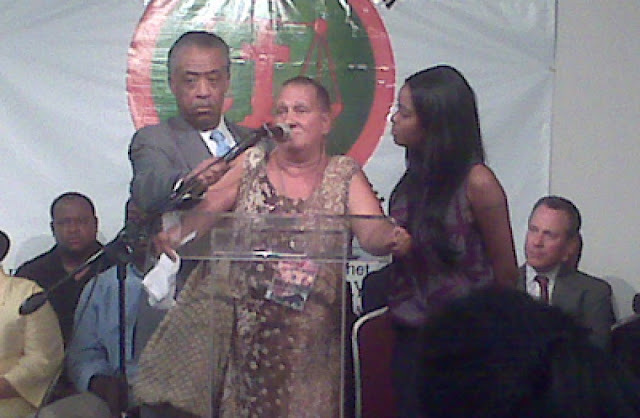 Mallory with Sharpton in 2010. Politico. Credit: Colby Hamilton Fair Use. Like Farrakhan, Sharpton also has a history of inciting hatred. 1987 Sharpton pushed the Tawana Brawley hoax, where a 15-year-old black girl claimed she was abducted and raped by a group of white men. Sharpton deliberately singled out Dutchess County prosecutor Steve Pagones, a young prosecutor and accused him of racism and of having participated in the attack on Brawley. Pagones sued and won a $345,000 verdict for defamation against Sharpton, Alton H. Maddox and C. Vernon Mason. Sharpton refused to pay and Johnnie Cochran paid for him. In 1991: When a Hasidic Jewish driver in Crown Heights accidentally killed Gavin Cato, a 7-year-old black child, antisemitic riots erupted. At the funeral Sharpton blamed the "diamond merchants" (Jews) with "the blood of innocent babies" on their hands. Sharpton went further, mobilizing hundreds of demonstrators marching through the Jewish neighborhood, chanting, "No justice, no peace." Rabbinical student, Yankel Rosenbaum, was surrounded by a mob shouting "Kill the Jews!" and was stabbed to death. In 1995, the United House of Prayer, a large black landlord in Harlem, raised the rent on Freddy's Fashion Mart, owned by a white Jewish owner who was forced to raise the rent on his subtenant, a black-owned music store. Following the ensuing dispute, Sharpton got involved and raised tempers, warning "we will not stand by and allow them to move this brother so that some white interloper can expand his business." Sharpton's organization, National Action Network, set up picket lines. Customers who entered the store were spat on, cursed and accused of being "traitors" and "Uncle Toms." Going further, some protesters shouted,"Burn down the Jew store!" while simulating striking a match with Sharpton's colleague Morris Powell saying "We're going to see that this cracker suffers". On December 8, one of the protestors entered Freddy's, shot 4 of the employees and set the store on fire, killing 7 employees. [emphasis added]Like Farrakhan, Sharpton acted the demagogue, picking a target and focusing on it relentlessly, whether it was Pagones or the Jews. Sharpton fabricated accusations against Pagones and the Jews with no basis in reality -- but the hatred deliberately generated by those accusations did its job, energizing his followers and victimizing his targets. This is what we see now from Sharpton's disciple, in the way Mallory thinks about both white people and Jews. 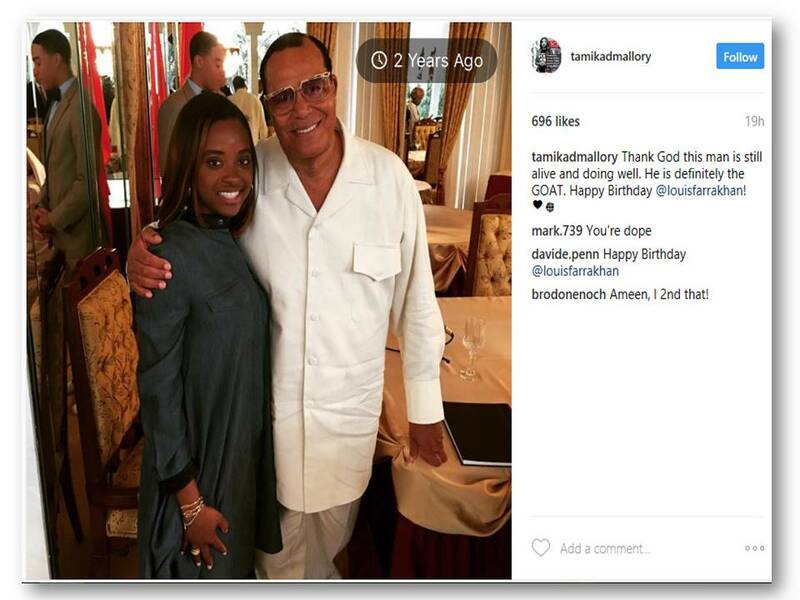 Actually, she agrees with Farrakhan quite a bit, claiming that "white Jews" contribute to white supremacy. Putting aside Martin Luther King's well known positive feelings about Israel, we can only wish that Mallory was capable of emulating Reverend King's refusal to sink to identity politics that fuel the hate and divisiveness we see today.